Spring has sprung, and “spring cleaning” is sure to be on the minds of many. Each year, several experts as well as the media share new statistics on the positive effects that tidying up and de-cluttering have on overall productivity. And if spring cleaning works in the home, why not try it at the office? Surely marketers have their share of clutter to tackle! To spring clean your lead generation procedures, start by going through and checking all the tools and methods you are currently using. Make a list of all the things that need an update or just some reorganization. Then from there, you can make a plan for tackling the clutter and revealing the quality leads and higher conversion rates that are buried underneath. So, what are some of the common things that marketers come upon when making their spring cleaning efforts? We put together a handy list to help you know what to look for! This includes leads who have never opened your email, leads who opened them before but have stopped, incorrect or invalid email addresses, and even duplicates. You may be surprised what you find! Whether you’ve never run a data cleaning before, it’s been awhile since your last one, there was an error during lead capture configuration, or you just have a lazy team entering data, segregating outdated or bad records will reveal a cleaner list for improved conversion rates. Could your email templates use a fresh design? Take a closer look to see how they could be more attractive to your readers. Replacing old images with more relevant ones, adding calls to action and highlighting any special offers or new product features are some great ways to recapture your readers’ interest and make the most of your content. When was the last time you tried checking how long it took for your website to load? Page speed is becoming a critical part of how you are ranking on search engines, and industry leaders now recommend that it take no longer than approximately 3 seconds to load. To identify how fast your page speed is, you can use a free tool like Google PageSpeed Insights. Just enter your website URL and hit “analyze”. There are many factors that go into your website page performance, and PageSpeed Insights will give you some recommendations on how you can optimize your load times. Is checking up on your Google Analytics, AdWords, Webmaster Tools, and Social Media a regular part of your routine? Marketers often get so overwhelmed with their to-do list that checking their web presence gets lost in the fray. Spend a day or two getting up close and personal with your accounts and give everything a thorough review. Check for things that aren’t doing your ad campaigns any good, such as automated settings with invalid parameters, duplicate or outdated keywords, broken links or landing pages, and overlapping target groups. Run a search for your company name in Google and Bing to find our where you stand in branded search. If you don’t manage your company’s social media accounts, check to see if the person managing them for you is doing so effectively, making sure your profile information is current and everything is aligned with the rest of your online presence. If you use only one marketing channel to reach customers, you are preventing would-be prospects from becoming customers, and new customers from becoming repeat ones! From an in store visit or print catalog to an online website or mobile app, we live in an omni-channel world where customers expect an omni-channel experience. To get attention and be memorable to your desired audience, spring clean your old methods and aim for an omni-channel approach that ensures your message is heard across a number of platforms. Each marketing channel is capable of contributing something unique to the way your customers engage with your brand, so make the experience consistent and complementary. Analyze your results and get rid of the methods that aren’t working and focus instead on the ones that are. 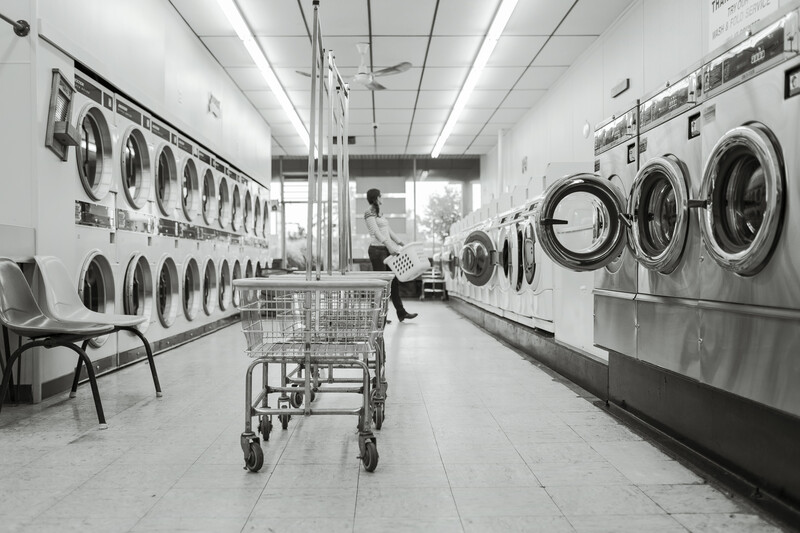 Your lead generation practices are already in place, but with some cleaning and refreshing, you can optimize your efforts and get more reliable results from your campaigns. Do you have any good spring cleaning tips you’ve learned for your marketing programs? Let us know in the comments. Happy cleaning!